Making Every Day An Adventure! But if you've managed to get past the title, I know you're on board with me! So let's go. Ever have those days when you wake up unbelievably excited about the possibilities of the day?! There's the interesting people you might meet, the brilliant solution you could come across, that perfect thing you'll create or the new-to-you place you'll explore! In all seriousness, this is exactly how I feel 98% of my mornings. It's true though! I have pretty high hopes for my days. And regardless, if you have this feeling 9% or 109% of the time, you may have had the experience that the days don't usually deliver as much adventure as you had hoped for. Awww Geee!! MAKE EVERY DAY AN ADVENTURE!!! I'd like to add that an adventure lights you up and excites you. Now, I'm an actress and have always loved to play pretend. So what lights me up is science fiction, fantasy and anime. At the moment I'm 36 episodes deep into this anime a friend suggested I watch. 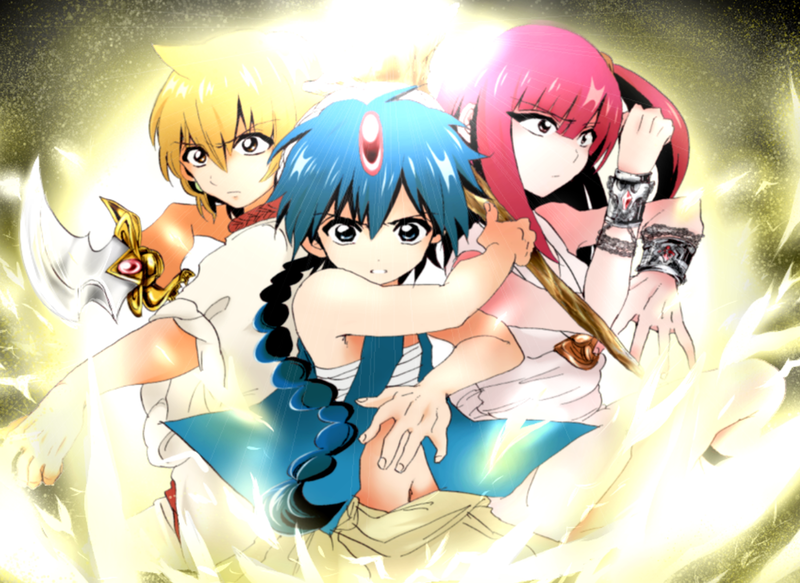 It's called Magi: The Kingdom of Magic. These characters go around in search of the things their hearts desire most, such as creating new countries, learning magic, reconnecting with their homeland, saving whole cultures from being destroyed-whatever means the most to them, they go and do it! And they train and study and learn how to become the best and strongest versions of themselves that they can be in order to achieve their goals. Some of them even get the help of a Djinn (a genie) that imbues the user with it's own powers. It's. freaking. awesome! It lights me up! So I use this as inspiration for my adventure planning. You should find the way that best speaks to you. 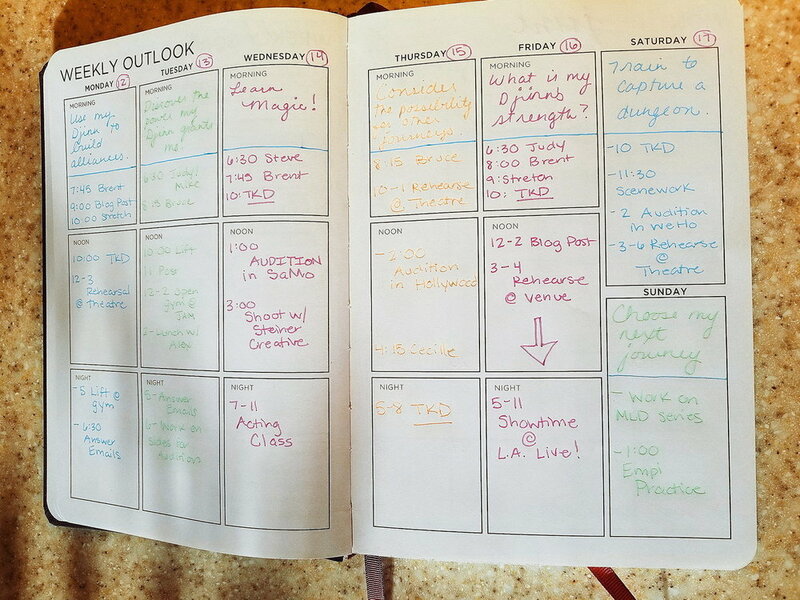 I'm very organized and goal-oriented, so every morning, I write in my Ink & Volt Planner what adventure I will take that day. For instance at the top of the day on Wednesday I wrote: "Learn Magic"
With a student I ended up connecting with them on a deeper level to the point where I really wasn't thinking about how I was coming across at all. I was solely focused on them. During a rehearsal for a stunt job I decided to learn a new trick. I pushed past my comfort zone, asked another stunt woman for help in learning this trick, and we worked on it for a little bit. I took the first, scariest step to learning it and got to know her better. I also had a rehearsal for a scene I would soon be doing on stage. The magic I sought was to honor my character by letting myself be completely free of judgement. This 3 hour rehearsal ended up being nothing short of magical! Looking back on my day I was able to say that I was excited for my day, risked some things, learned some things, deeply connected with people, and created something unique and real. Sounds like my kind of ADVENTURE!! !